There’s a long break before Gameweek 28, but plenty to ponder with the latest charts. Gameweek 31 heads onto the charts. 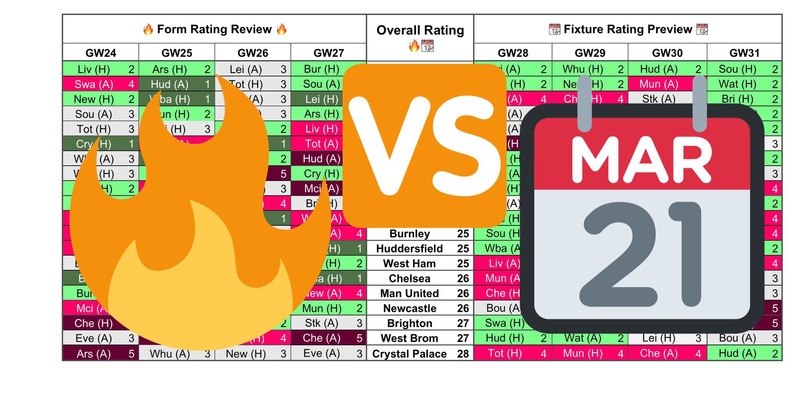 It’s likely to be the largest blank Gameweek of the season, since it clashes with the FA Cup Quarter Finals. Stoke, Everton, Liverpool and Watford are the only teams currently to be guaranteed a fixture. Things will become clearer after this weekend, when the charts will be updated. Swansea are head and shoulders above everyone else in the latest edition of the charts. It looks favourable to own at least one of their assets going into Gameweek 28. Luckas Fabianski is the highest FPL points scorer for Swansea with 8 clean sheets and 100 saves. If it’s a defender you‘re looking for, then Alfie Mawson looks to be the biggest aerial threat and also strong for bonus points. In attack, Jordan Ayew provides a focal point at a budget price. His starting berth looks secure. Sung-Yueng Ki and Sam Clucas are both worth a look as budget fifth midfielders. Manchester City have the best form of any Premier League team, followed by Spurs and Liverpool. For Manchester City, the defence aren’t providing enough consistency so I’d avoid for now. In attack, a couple of assets is probably wise, with Raheem Sterling providing the value over Kevin De Bruyne. 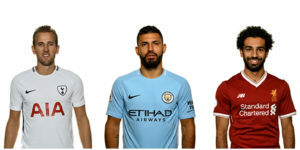 Sergio Aguero remains a captaincy contender, but it won’t be long before Jesus returns and rotation commences once more. Harry Kane should remain in your squads for the duration of the season. I’m not mad for investment in the other Spurs assets right now, as they’ll rotate around the Champions League. With Liverpool guaranteed a fixture in Gameweek 31, a double or triple up around Mohammed Salah could be advised. Roberto Firmino continues to return consistently in attack. Andy Robertson could be an option for a defence who’ve kept two clean sheets in their last three games. Southampton have the best of the fixtures. Everton, West Brom and Leicester aren’t far behind. Everton are the most enticing prospect of this lot, given their guaranteed match in Gameweek 31. The Everton defence haven’t kept a clean sheet in their last eight. In attack, Theo Walcott and Oumar Niasse could provide points returns for those on a budget. As for the other teams, I’d look at James Ward-Prowse for Southampton. Jay Rodriguez could become an FPL option again with Sturridge seemingly injured once more. Jamie Vardy has scored in four consecutive games and will be boosted by the return of Mahrez. 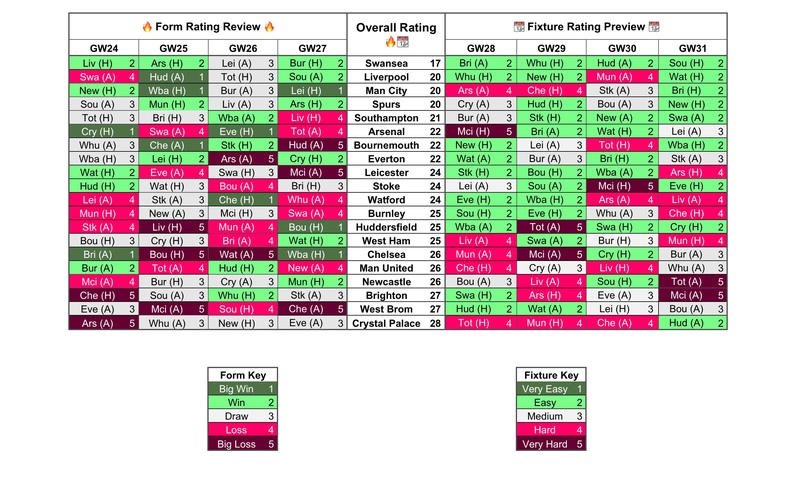 Before you go, check out the Captain Analysis to help you select the right player from Aguero, Kane and Salah for your Gameweek 28 captain to maximise points. The pattern really works!